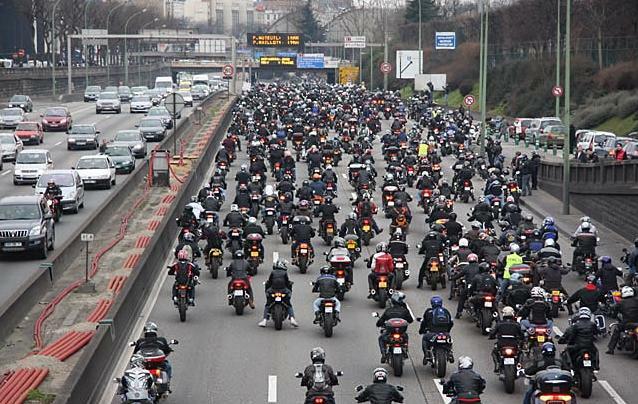 As we reported in one of our previous posts, France was the scene of a national protest on 13th March 2010 attended by 40,000 motorcyclists, who expressed their anger at Government proposals to ban filtering through the traffic in case of high congestion on the roads. The Government announced their intention to treat motorbikes and scooters like cars, i.e. prevent bikes from overtaking cars in traffic jams and stay stuck behind, like cars do. Furthermore, bikers were advised to take the public transport if they were not happy, which is precisely what they did last Saturday in a few cities and towns all over France to bring the network to a complete stop. Well, it sounds like the French Government are now starting to seriously regret to have made such stupid proposals. With 40,000 bikers bringing the whole country to a standstill, we have been made aware that Dominique Bussereau (Transport Secretary) subsequently met with the Fédération Française des Motards en Colère (FFMC – the French Federation of Angry Bikers) to discuss. And guess what? Mr Bussereau suddenly recognised that with the increasing number of motorcyclists on the French roads, which contribute to significantly reduce congestion and pollution, it was important to take into account their safety and concerns. Filtering through traffic may not be that bad after all, and might now become legal in France, subject to the introduction of a more robust motorcycle training course, designed to make new motorcyclists aware of the dangers they may face on the roads, including those associated to traffic filtering. Can you see how the French Government has just changed its tone overnight? They’ve gone from a categoric “NON” to a possible “OUI mais…”. Having said that, another reason why 40,000 bikers invaded the French roads and public transport in quite a few cities and towns last Saturday is because they remain opposed to bikes being obliged to go through a safety and mechanical test on an annual basis (such as the UK MOT test), again like cars do. We are told that the FFMC, who organised this massive and spectacular national protest, was created 30 years ago to fight against a Government proposal to introduce an annual road tax for motorcycles. Of course, while cars had to pay the French road tax, bikes never had to, as a result of the enormous protests that were organised at the time by the FFMC, pretty much like the one that took place last Saturday. The FFMC has advised that the Government failed to carry out appropriate consultation prior to announcing their intention to force motorbikes and scooters to go through this annual mechanical and safety test, hence their call to all bikers to go down the street and protest en masse. So we now have a Government that potentially says yes to traffic filtering subject to more robust motorcycle training and no to giving up their proposals for the introduction of a safety and mechanical test for bikes. It is this double-tone that the FFMC now seems to be unhappy with, to the extent that they’ve threatened to organise further demonstrations all over France, until the Government is brought to complete submission. UK France Bikers remain confident that the FFMC will win, once again, as they have always done! Hats off to them! C’ette article de nouvelles montre la différence entre les Brittaniques et les Français. Les Brittaniques acceptent avec quelques gémissements des règles stupides imaginée par le gouvernement alors que les Français allaient descendre dans la rue en colère et pied ferme. Ceci est le gouvernement du peuple par le peuple. Ils défendent ses biftecks ! J’admire ce dans le caractère francais. This news article shows the difference between the british & the french. The british moaningly accept any stupid rules dreamt up by government whereas the french take to the streets with angry determination. This is government of the people by the people. They stand up for their interests. I admire this in the french character. I agree with Phil Randome. We Brits always do what we are told then moan about it afterwards when it’s too late. Hats off to our biking brethren in France, you really do know how to protest and we should be taking notes over here. Sadly I think the British disease of apathy is still strong so it will take a while, although recent events (the retaking of Wales protest, and Wootton Bassett) gives me hope that we can develop the spirit of togetherness that I know the vast majority of UK bikers have, it just needs un-locking. What the french can do, the British could do as well or even better. It just takes a lot longer….. Welcome back 1frog, good to see you around again! S’ il vous plait excuser ma grammaire français pauvres. Je pense que ce ‘manif’ devrait être un opportunité de l’essai protestation pour l’année prochaine lorsque la CEE apporte des nouveaux permis moto en fonction d’age (A1) et une épreuve supplementaire pour les motos plus puissantes. Apparement cela c’est pour notre sécurité ??? Quand la CEE reconnait que huitante percent des accidents impliquant 2RM sont pas la faute du motard pourquoi sommes-nous face à celle plus de réglementation ? Pourquoi est-il que les jeunes conducteurs ne sont pas limités à 500cc ou 1000 limites du moteur. 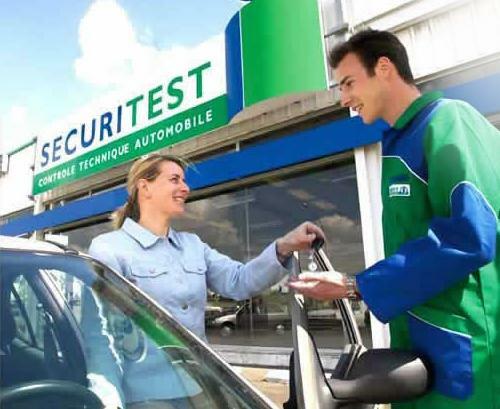 Pourquoi ils ne sont pas obligés de prendre un autre test de conduire des voitures plus grand ? Seuls des permis 2 RM sera changé et je pense que c’est une discrimination injuste. I apologise for my ‘dodgy’ french grammar. I think that this demonstration should be a trial run for a protest next year when the EEC brings in new, age related motorcycle licences (A1) and an additional test for more powerful bikes. Apparently this is for for OUR safety ??? When even the EEC recognises that eighty percent of accidents involving P2W’s are NOT the motorcyclist’s fault why are we the ones facing more regulation ? Why is it that young/inexperienced car drivers are not restricted to 500cc or 1000cc engine limits ? Why aren’t they obliged to take another test for bigger engined cars ? Only P2W licences will be changed and I think this unfair discrimation. Even though I am neither French nor British I can only say: THUMBS UP! Phil, the protest against new rules from the EEC can not wait till next year! They are already now talking about a limit of 100 HP for motorcycles (which is already the fact in France) all over the EEC. My motorcycle has only 98 HP and right now I have no intention of buying a new one, but I want to keep the freedom to buy a 200 HP cycle. Every newbee can by a 1000 HP car, so why are they only interested in limiting motorcycles? If a protest is arranged in Brussels, I shall certainly join you and am convinced, that many other danes will. Ah, so once again it’s the *bikers* who have to watch out for the cars because it’s the bikers who are at risk. Hey fellow bikers. Congrats on the progress so far. These are the type of victories that every biker dreams about witnessing. Bikers in the north of South Africa arranged a similar protest, blocking and congesting toll stations in Gauteng against paying tolls as our bikes cause no damage to road surfaces as cars and trucks do so why must we pay the same toll. Did it help, NO. The authorities are too greedy and corrupt to take note or do anything. Hello Ian, thank you for your comment. Your story about paying tolls in Gauteng makes me think of something similar that happened in England a few years ago. The authorities wanted bikes to pay to use the Dartford tunnel in south-east London, like cars do. Hundreds of bikers protested by each paying the small fee with high value notes such as £10 or £20, thus obliging the toll staff to keep an enormous amount of change in their tills. Within days, the charge for bikes was scrapped. What a surprise! Inconveniencing the authorities who inconvenience us is the way forward to get whatever stupid piece of legislation they implement scrapped. I didn’t know that about the Dartford crossing; just goes to show you live & learn. Thanks UK France Bikers for that piece of info. I well remember that the northbound/southbound tunnels were never toll roads but when the bridge was completed we were told by government that the tolls were payable until the bridge construction costs were paid off. That bill’s final payment happened some years ago but we’re still paying to use the bridge/tunnels. Why ? When the vat rate went down to 15% last year the Dartford crossing fee went up & what did the great british public do/say about it ? Nothing or as Dylan Thomas would have said “llareggub” !! Politicians love the titles they give themselves – “Honourable” or “Right Honourable” if they are a minister, but in reality they are just a bunch of corrupt, self seeking, disreputable chiselers who will only amend their ways if the public take to the streets. Can you imagine what 40,000 bikers could do to the M25 or central London. I think the Wednesday Morning Breakfast Club is an inspired idea & I’m impatient to attend the Wednesday Evening Supper Club both of which are organised by the NoToBikeParkingTax campaign in London. My congratulations to Warren Djanogly the chairman. Sorry too tired to try & translate into french. My apologies. That’s right Phil, while it may too late for car drivers to protest at stupid charges imposed on them, it is definitely not too late to protest at charges imposed on motorcyclists who use a less pollutant and non-congestant mode of transport, simply because they are keen to protect the environment we all live in. We already pay road tax in the UK, why do we have to pay additional charges every time we take a tunnel, a bridge or whatever. What is the road tax for if not to fund the cost of using/maintaining these facilities? All these charges are just pure robery. 100% behind the french bikers on this. mcn in the uk had some success with draconic policing in wales – its amazing what huge groups of angry bikers can do. « Bikers are of both sexes, n’est-ce pas mesdames et mesdemoiselles?